Rosemead Guest House is situated within a range of Gatwick guest houses. 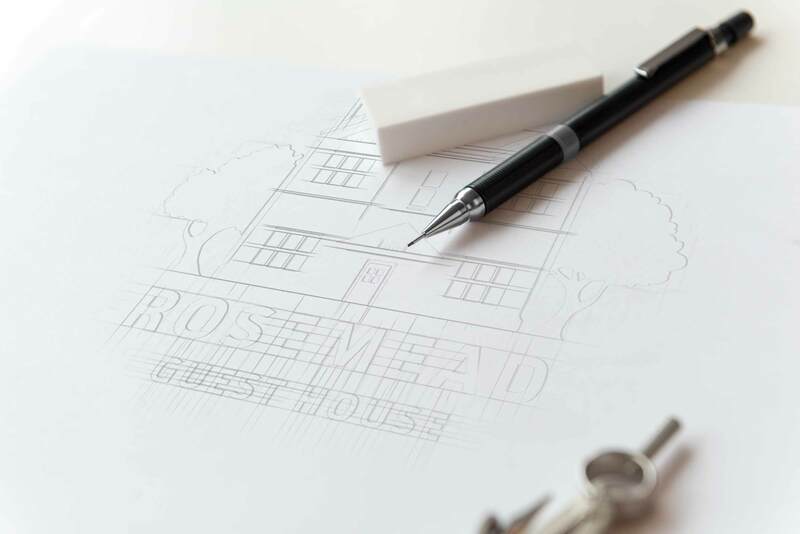 Because of this, Rosemead needed to stand out from the crowd and differentiate themselves from local competitors. 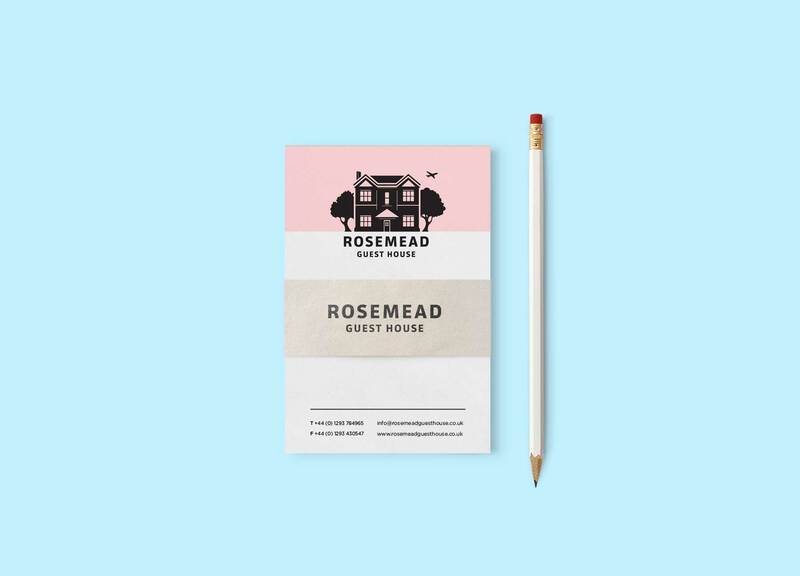 Our approach was to design a brand that focused the Guest House itself. 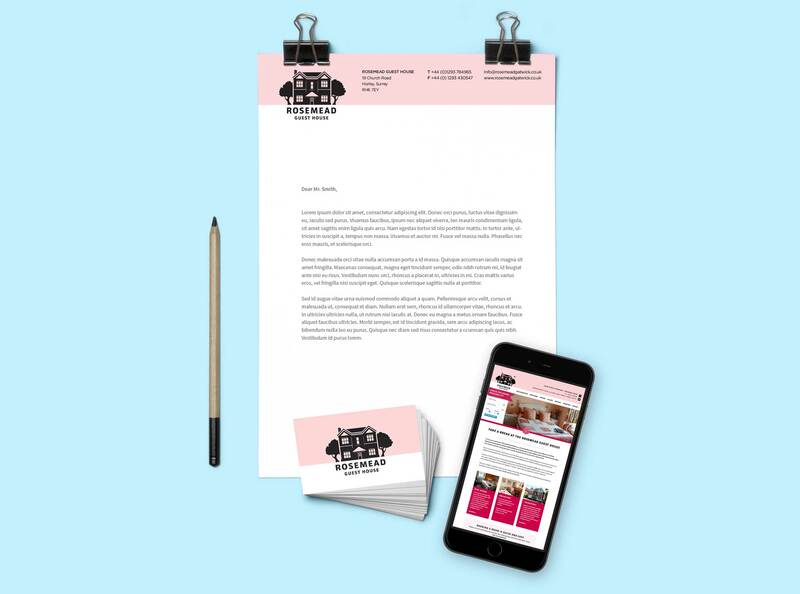 We wanted the logo to show the character and heritage of the building. 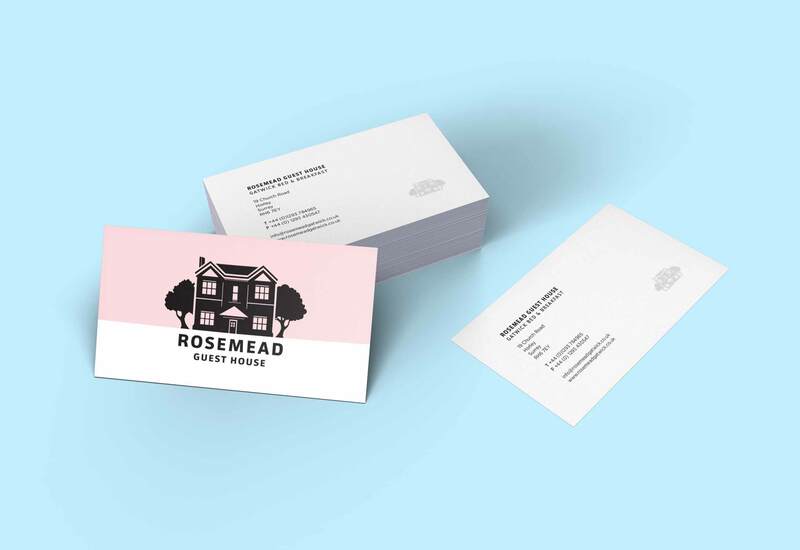 Our print team also supplied Rosemead with a full set of printed stationery as well as new hanging signage outside. 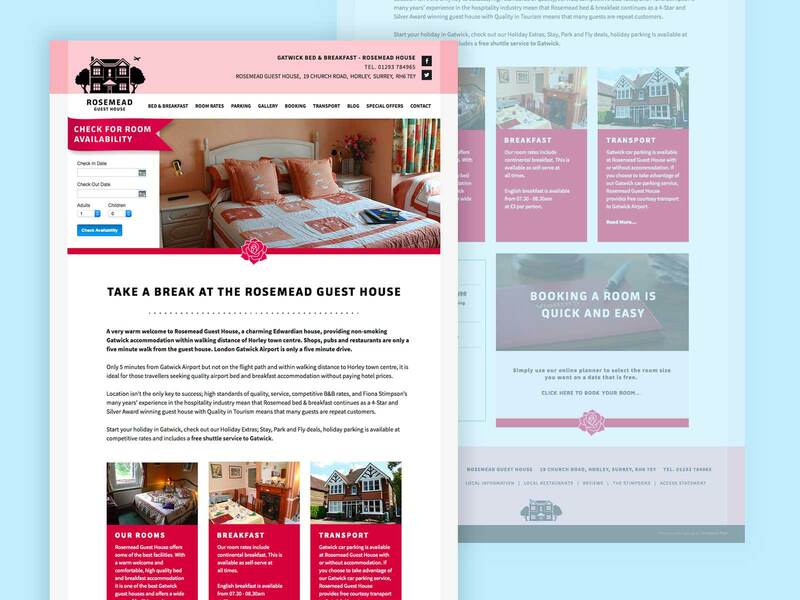 Creative Pod also helped build and maintain a new website for the Guest House enabling customers to view interactive walkthroughs of the rooms as well as easily book in rooms from their booking app.